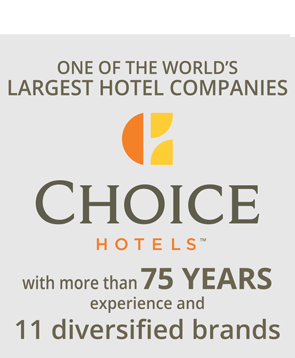 Hotel owners and developers will benefit from Choice’s expertise in providing the tools and resources to compete efficiently in an increasingly competitive marketplace and ever more complex hotel distribution environment. Our local teams focus on strategic business planning and market execution, leveraging seamless integration between our marketing tools, local services and global systems. 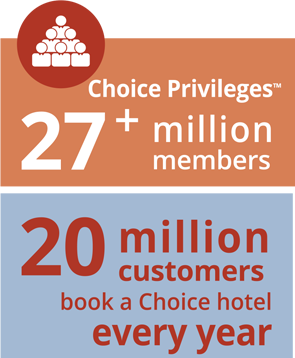 This approach creates business advantages that drive the top and bottom lines for hotels. 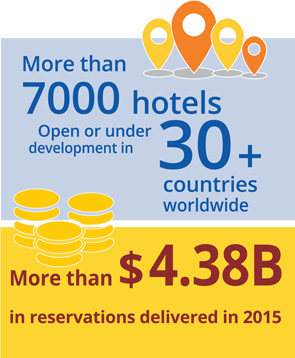 Drive your revenue through our marketing and distribution capabilities. Cut your costs through technological innovation, scale benefits and service support. Simplify your business through flexible brand programs along with targeted development and comprehensive operations support.